Oxygen Carboxy CO2 Gel Mask (Carboxy CO2) is a new word in cosmetology. Originally created to heal the deep wounds and burns this masks have a great anti-aging effect on the skin. Procedure non-invasive carboxytherapy quite simple and requires no special skills. After application of the gel to the skin carboxy syringe (no needle is needed) gently put the mask on it active oxygen effect begins. The procedure is painless and lasts 30 minutes. Masks are very popular in the world (Korea, Japan, United States). 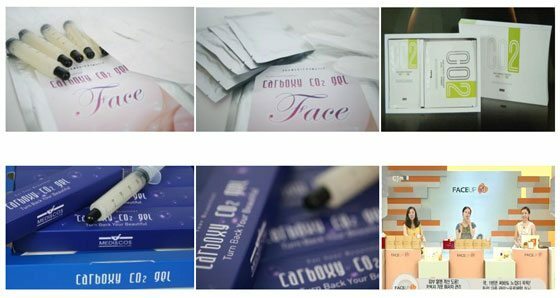 Wholesale purchase carboxy oxygen CO2 gel mask (Carboxy CO2) and the possibility of obtaining exclusive distribution rights. Directly from the manufacturer with no extra charge. IMPORTANT! Unfortunately, wholesale supply of masks CO2 to Russia and Kazakhstan are no longer available because. there is already an exclusive representative. Certificates for masks in stock!